LONDON (Reuters) - Juventus will attend a £ 175 million (nearly 200 million euros) offer to sign Liverpool striker Mohamed Salah next summer after Cristiano Ronaldo has asked for a contract, the Guardian reported. 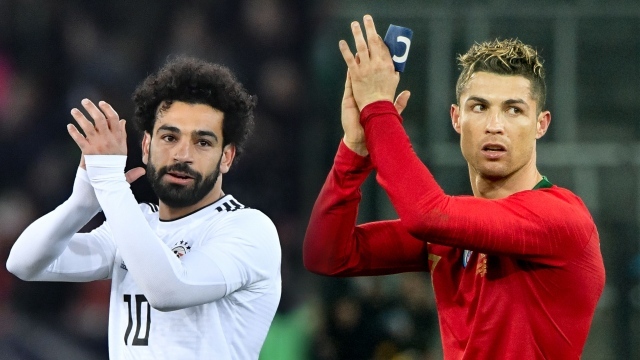 The Italian club Juventus is preparing a £ 175m (£ 200m) deal to sign Liverpool striker Mohamed Salah next summer after Cristiano Ronaldo has asked to sign the Egyptian player, the Guardian reported. According to the newspaper, the club "old lady" expressed a great desire to include the Egyptian player, to compensate for the expected departure of Argentine Paolo Debala, who is going through a difficult stage with the team, with the decline of the level of goal significantly this season. If the deal is made, it will make Salah the second-most expensive player in history, after Brazilian Neymar, who left Barcelona to Paris St Germain for about 222 million euros. The biggest obstacle for Juventus is the European Union (EU) 's clean financial play law on the "old continent," the newspaper said, stressing that the Italian club has to give up some of its stars to complete the deal.